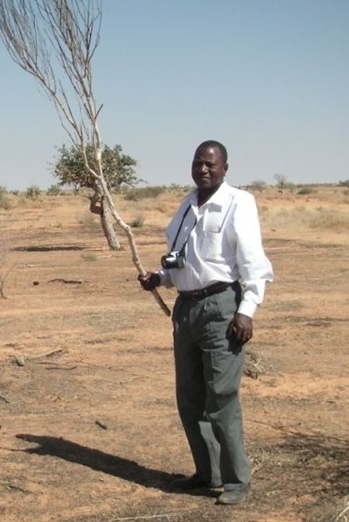 November 5, 2016 — The WILD Foundation and International Conservation Fund of Canada announced today that Nomba Ganamé, field manager of the Mali Elephant Project, has been honored with a Conservation Hero Award from the Disney Conservation Fund. The award recognizes local citizens for their commitment to reversing the decline of wildlife and engaging communities in conservation. Recipients from around the world were nominated by nonprofit environmental organizations, and each honoree and his or her nominating organization will share a $1,500 award from the fund. Nomba works in Mali to protect elephants with the understanding that the threats to elephants are the same as the threats to the livelihoods of local people. Nomba brought diverse groups of people together to learn about their perceptions and attitudes towards elephants, and overcame traditional ethnic rivalries to achieve the common goal of elephant conservation through wise resource management that protects and restores habitats and benefits local people. Nomba continued with this work to protect elephants and assist local villagers even when the area was threatened by multiple political and armed conflicts. His deep relationships with local communities are helping to build social cohesion despite ongoing insecurity, while reducing poaching and protecting the elephants – providing a model for other regions of Mali and West Africa in community engagement for conservation. Nomba Ganame holding a firebreak beater.